Crossover pioneer Nissan has revealed a new concept car which points to an innovative new future for the marque. Conceived by designers in Europe and Japan, the Nissan Gripz Concept blends the ability and practicality of a compact crossover with the excitement and performance of a sports car. Infused with an exciting and adventurous feel, thanks to its radical design and advanced powertrain concept - the Nissan Gripz Concept is Nissan's next move as a game changer, and is a glimpse of how a future compact crossover from the pioneer of the segment might look. The Nissan Gripz Concept is designed as a car with a dual personality; a vehicle that can handle the day-to-day commute and deliver a genuine adventure at the weekend. In the same way a cyclist will use a bike to get to work and then head out on that same machine for an adrenaline fuelled ride when the working day is over, so too can the driver of the Nissan Gripz Concept tackle the city streets during the week before enjoying a drive over a mountain pass on a day off. The result pays homage to one of Nissan's first 'crossovers' - the iconic Safari Rally-winning Nissan 240Z. In the 1970s these sports cars were re-engineered using expertise gathered from Nissan's 4x4 range to cope with the demanding conditions of the Baja Peninsula, the open plains of Kenya, Uganda and present day Tanzania. These rally racers featured a raised ride height, toughened suspension and sported a matt-black finish for the bonnet and trunk set against a deep red-orange body colour. The Nissan 240Zs were proof that sports cars didn't have to be low to the ground to be fun. The Nissan Gripz Concept proves this again - incorporating Nissan's expertise in crossovers, 4x4s, sports cars, and to bring it fully up to date for the new generation, electric powertrain prowess. The Nissan Gripz Concept is equipped with an EV technology based Series hybrid system 'Pure Drive' e-Power. An efficient petrol engine is used to power the electric motor found in the Nissan LEAF. The powertrain combines Nissan's various control technologies from its years of experience developing EVs. This configuration delivers smooth, swift and linear acceleration in near-silence, with supreme efficiency. As a result, the Nissan Gripz Concept offers a smooth, refined and exhilarating driving experience with outstanding fuel efficiency. 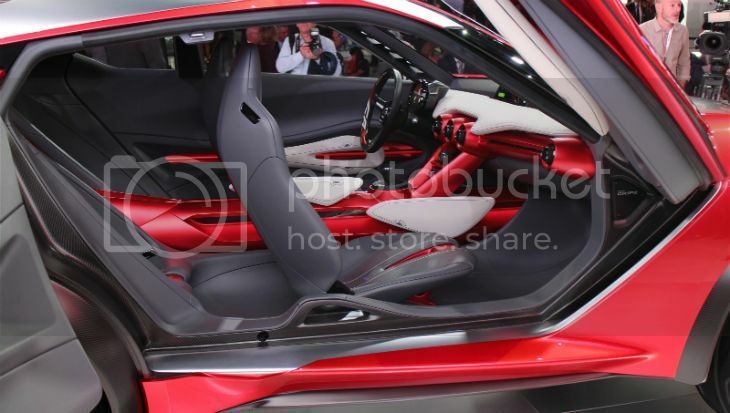 The Nissan Gripz Concept is seen as a design statement rather than a replacement for an existing model, although it does feature cues from Nissan's new 'emotional geometry' design language. The Crossover concept incorporates four key design elements first seen in Europe on the Nissan Sway, one of the stars of the 2015 Geneva Motor Show. As with Sway, Gripz features a V-motion grille, boomerang lamps front and rear, a floating roof and a kicked-up C pillar. However, the similarities end there. While Sway hinted at a possible direction for a compact hatchback, the Nissan Gripz Concept is quite the different proposition. "Nissan pioneered the idea of the compact crossover, and this is reflected in the enormous popularity of Qashqai and Juke and the resulting growth of the market segment as other manufacturers play catch-up. 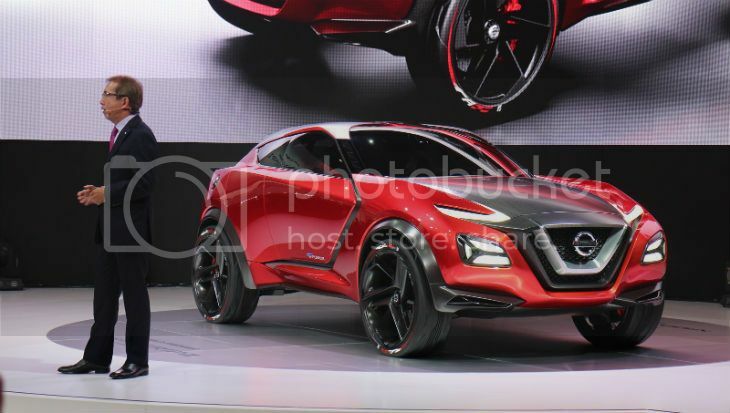 While the Nissan Gripz Concept is not seen as a direct replacement for either of those two iconic vehicles, it does show the extremes to which the compact crossover can be pushed," said Shiro Nakamura, Senior Vice President and Chief Creative Officer. Created through collaboration between Nissan Design Europe in London and Nissan Global Design Center in Japan, the exterior of the Nissan Gripz Concept is guided by the 'emotional geometry' body sculpting concept which depicts strong contrasts through the dynamic, tensional, yet edgy surface. Nissan's DeltaWing experimental Le Mans racecar. Video Included.